It’s my turn to share on the Spellbinders blog again. This time I used a Medallion Die D-Lites die. 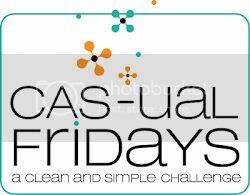 I created the cards for the current CAS-ual Fridays challenge (use Kraft) and the CAS(E) this sketch challenge. I hope you have time to check out the post! Thanks so much for stopping by! Have a wonderful day! I created a Thanksgiving card with one of Spellbinders brand new Die D-Lites die. I hope you have time to hop on over and check it out. It’s time to post on the Spellbinders blog today. This week’s theme is to show you “Things you can do with the Grand Calibur”. For me it’s mostly cutting paper and cardstock, but today I pulled out bottle caps that had been in my stash for quite a while and used them as part of a Christmas Ornament. I hope you have time to check out the entire ornament and the step by step instructions on the Spellbinders Blog. Thanks so much for stopping by! Have a wonderful day. Today on the Spellbinders blog I show step by step instructions on how to make this little ensemble. I hope you have time to check it out and tell me what you think. 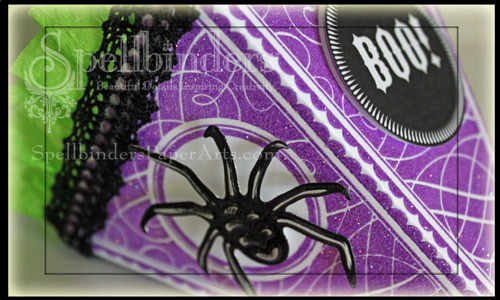 The coming week is all about Halloween projects on the Spellbinders blog. So for my video post today I thought I share how to make this little treat bag. I hope you have time to check it out and tell me what you think. 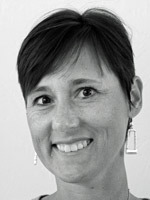 I also posted a couple of pictures of Rebecca there.